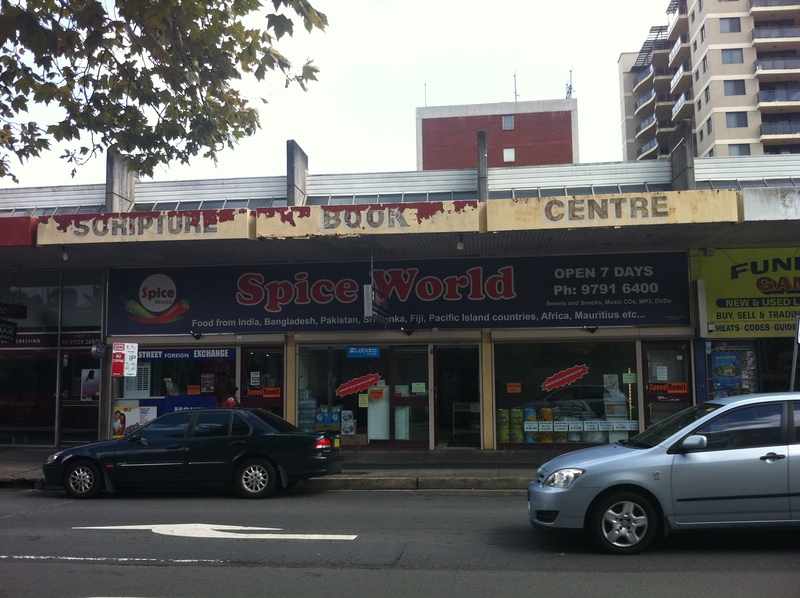 Before Ginger, Posh and Baby moved in, this was the place to go in Bankstown for your scripture book needs. Back in the late 80s and early 90s though, before it was the Scripture Book Centre, this and the neighbouring ‘Funland Games’ building were the Spin Out video arcade. If anyone has any pictures or further information about Spin Out, please let Past/Lives know. These shops sit on the Appian Way, Bankstown, across from Bankstown Square. In 1954, the Appian Way was home to the *chortle* S & M Fox Institute, an x-ray clinic where checks were compulsory in the 50s and 60s. If you were content to stay home with your terminal case of TB just because you didn’t want a dose of pure radiation, you were fined no less than 20 pounds. Just think – adjusted for inflation that’s the equivalent of a big cash settlement from the NSW Government for having contracted cancer from dodgy x-rays in today’s money.